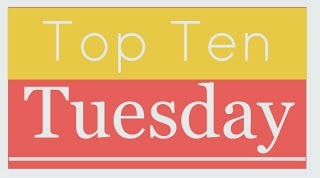 Top Ten Tuesday: It’s Summer TBR time! It’s the Summer TBR edition of Top Ten Tuesday, which means that it’s time for setting some over-ambitious targets! It’s no real secret around here that my reading pace has slowed recently but I’m really enjoying audiobooks at the moment and it’s making me feel as though I’m reading and enjoying books in general, even though I don’t get to spend as many hours as I’d like curled up in a corner with Garfield (the Kindle) or a “real” book. So what’s on the agenda for this summer? And these are in no particular order so even though I’m saying ‘agenda’, I mean ‘hodge-podge list of things I’ll pick up at some point soon’. My next holiday is early September (long haul flights being the best for reading – Manchester to Boston via Frankfurt has to equal at least one book) so I can at least pick up the stragglers then if my summer is a bit of a bookish bust. 1. 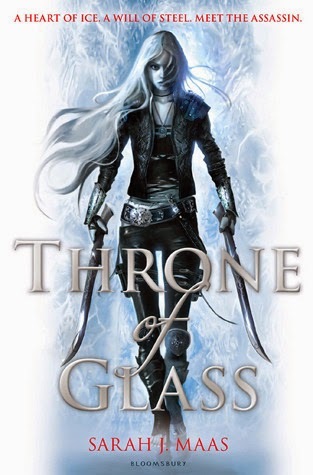 Throne of Glass by Sarah J. Maas – another book that I picked up during the Leeds book blogger extravaganza and was dying to read but then didn’t. With the last in the series due out over the summer, it is long past time to get started. 2. 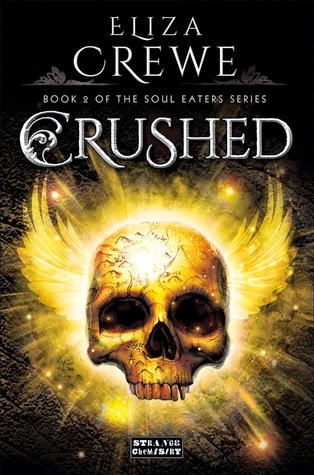 Crushed by Eliza Crewe – I read the first in the Soul Eater series, Cracked, last year and really loved it so I was over the moon to snag the next one on NetGalley and not have to wait until August. I’m a little wary of the blurb (which refers to good girls having a weakness for bad boys…ugh) because one of the reasons I was super keen on the first was that it didn’t major on stalker-romance. Not wary enough to avoid the book, though, obviously. 3. 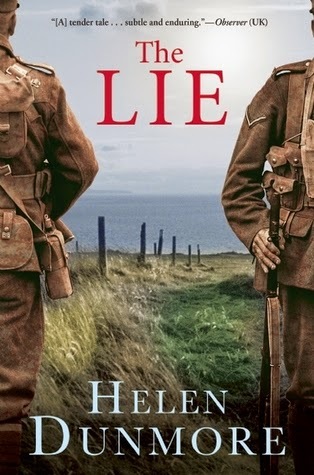 The Lie by Helen Dunmore – I know, a book about World War I doesn’t exactly scream summer read but both my Dad and Ellie Lit Nerd recommend it and I am powerless to resist. Bring on the tissues. 4. 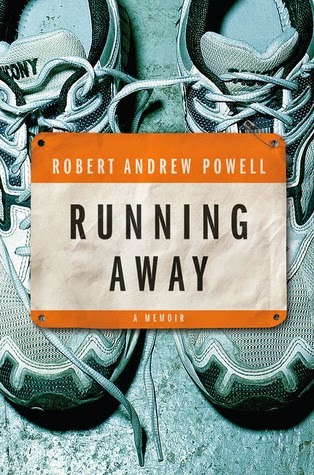 Running Away: A Memoir by Robert Andrew Powell – I’m currently in the last few months of training for the Great North Run in September. After the roaring success that was Running Like a Girl by Alexandra Heminsley, I’m really looking forward to another inspirational running story to keep me on track (which I’m going to let you think is a pun even though I run on roads…). Maybe the hardest thing is going to be to resist the urge to go haring into signing up for a marathon, instead of the half marathon events I’m currently pumped for. 5. 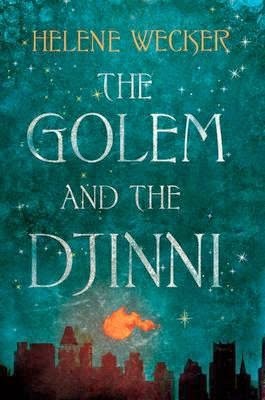 The Golem and the Djinni by Helene Wecker – I’ve seen so many positive reviews of this (the latest being Sam’s over at Tiny Library) and I need to read it. I’m not-so-patiently waiting on my library’s list for the audiobook and when I get to the top of the list, this will be in my car straight away. 6. 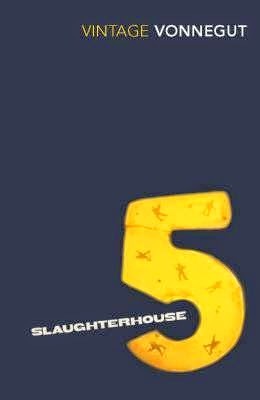 Slaughterhouse-Five by Kurt Vonnegut – another not particular sunny read but one that I came across over the weekend while I was consolidating my boxes of books so that they were a little less sprawly. We aren’t really close to getting the study done yet so they’ll be living in boxes a little while longer but at least this one is now at the top because I spotted it and remembered how much I wanted to read it. Plus, short. 7. 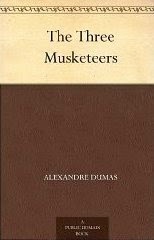 The Three Musketeers by Alexandre Dumas – only partly inspired by the TV series featuring handsome chaps! I figure that a bit of sword-fighting and general daring antics will be spot on for lazy afternoons in the garden. 8. 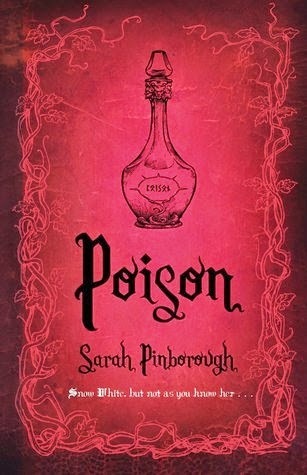 Poison by Sarah Pinborough – these books look gorgeous and I’ve been eyeing this one up since Ellie ever so kindly bought it for me for Christmas. 9. 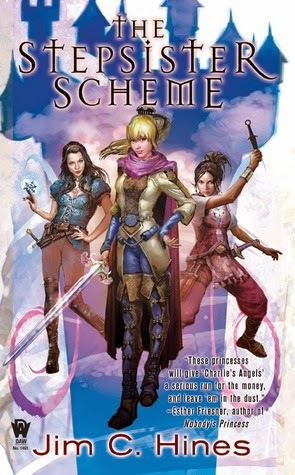 The Stepsister Scheme by Jim C. Hines – another book that I’ve had for such a long time but must get to. The ever lovely Hanna bought this for my birthday last year and I really want to read it. Really, really. It’s time. 10. 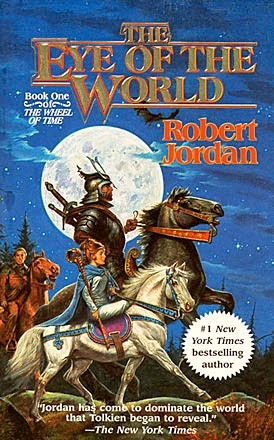 The Eye of the World by Robert Jordan – I’m not sure whether this will pop up but I have been having super bad cravings for some Wheel of Time and I have the final books (I think I have three left to go) but it’s been years since I read Book 10 from the series and I want to really love the last few books and I don’t think I’ll be able to do that based on hazy memories. I owe it to teenage me to re-read but I’m really not much of a re-reader so if this does make the cut, colour me surprised.